Oil-Electric: Black River Junction: Trick! - or Treat? Black River Junction: Trick! - or Treat? 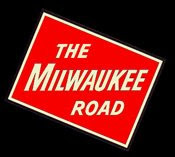 Milwaukee and Monster Roads Revisited. One of my favorite venues for train watching in Seattle was Black River Junction, where the Milwaukee Road grumbled down off the Cascades onto the Duwamish River Basin. My train chasing buddy, Elwin Purington and I, spent a lot of time at Black River Junction, mostly making sound recordings. This was the north-south corridor for the Union Pacific, Great Northern, Northern Pacific and, of course the Milwaukee Road’s electric trains. One access to Black River Junction was from Empire Way – named to honor Great Northern’s James Hill. Black River Junction was about a mile and a half down Monster Road, with the mysterious Testing Lab facility, located about half way down the hill. It was always foggy in the hollow where the sinister looking “Testing Lab” buildings were situated in dense woods. There was always an eerie blue-white glow around the structures, with the hum of transformers coming from behind a formidable barbed wire fence. This was definitely no place to suffer a flat tire! Black River Tower, operated by the Pacific Coast Railroad, supervised the Milwaukee Road’s cross over of the Northern Pacific Railroad, to follow it south down the Kent Valley to Tacoma, and switched the northbound tracks to Seattle and the King Street Station via the Pacific Coast Railroad. The entire railroad, operating from this modest skyscraper headquarters building in Seattle, was 57.97 miles long, with the main line running south from Seattle, through Black River Junction, to the coal seams at Franklin: 33.62 miles. Coal mining required people, and a housing boom in Franklin was recorded on a film plate in 1915.
and a handful of passenger and freight cars. Add to that, the various rights-of-way, ballast, and other stuff! The Chicago, Milwaukee, St Paul & Pacific had planned to absorb the Pacific Coast Railroad when steel was laid into the Puget Sound, thereby speeding up their debut in the Pacific Northwest. However, the Great Northern Railroad grabbed up the short line before CMStP&P could make its move, forcing CMStP&P into a trackage rights agreement. The Pacific Coast Railroad began to the east of Renton at Maple Valley. Maple Valley's first railroad station built in the early 1890's, was one of five village depots in the United States which served as both a depot and a dispatchers office. 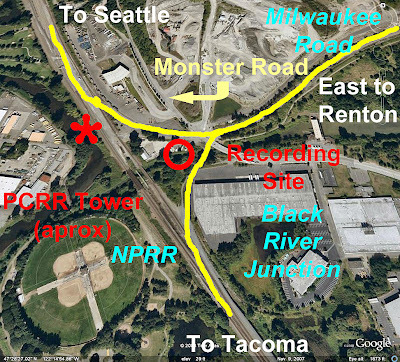 Running westward, the transcontinential Milwaukee Road rumbled right through beautiful downtown Renton via Houser Way! 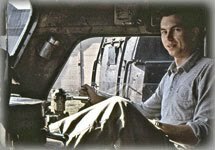 Operators dispatched Pacific Coast Coal Company trains between Black Diamond and Seattle, and served as telegraph operators for the Milwaukee Road to Seattle and Tacoma. 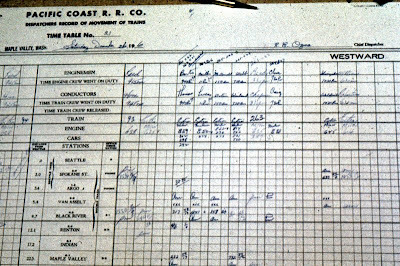 Indeed, the Train Register I shot on December 26, 1964, whilst on leave from the USAF, clearly shows the track movements are Pacific Coast Rail Road. Recent visits via Goggle Earth show an overly developed Black River Junction, minus the interlocking tower. None of the bare patches or buildings existed "back in those days!" Yes, there was a Black River - running aproximately parallel to the Milwaukee Road, entering the Cedar River just this side of the PCRR Tower. But it disappeared when the Lake Washington Ship Canal was completed, realigning the level of Lake Washington. Now the Milwaukee Road is gone. Just the omnipresent Burlington Northern Santa Fe. 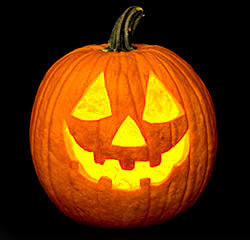 Trick --- or Treat? Nice stuff, I'd vote "trick" over "treat" on the vanishing of the Milwaukee. Thanks for the post. I suppose you meant an earlier date than 1987 for the organization of the PC, right? I have a book called "Washington Then and Now," by Dorpat and Sherrard, that shows a McDonald's Restaurant in Renton that is built where the Black River used to flow. Also, there is a nice photo from Port Townsend in the book. I've seen old maps of the junction, which showed the area to be quite open. I had no idea how built up it is now. The tower at Black River was actually staffed by Union Pacific operators and was built by the Oregon-Washington Railroad and Navigation Company. Yet Another Interesting Web Site!